As the school year starts up again, we thought we’d share why nurses love what they do to help inspire prospective students to pursue this rewarding career. We asked each nurse why it’s great to be a nurse right now and they gave us many different reasons, but they all agree on one thing: being a nurse rocks! Here are seven reasons prospective students should consider nursing. “I’ve always had an overwhelming sense that I needed to help anyone I felt was in pain either physically or emotionally. I truly believe it’s within my soul—an innate gift. When I was an Army medic, I was in constant awe of my fellow soldiers—whether a medic, nurse, or MD—the camaraderie was powerful. I knew I wanted to pursue nursing as a career. Student nurses don’t need anyone to tell them their lives are busy. With school, work, families, and a personal life, many student nurses are juggling more than most people. Tamar Rodney, MSN, RN, PMHNP-BC, CNE | PhD-c, is a Geneva Foundation/Jonas Veterans Healthcare Scholar 2016-2018 at the Johns Hopkins University School of Nursing and is no exception. 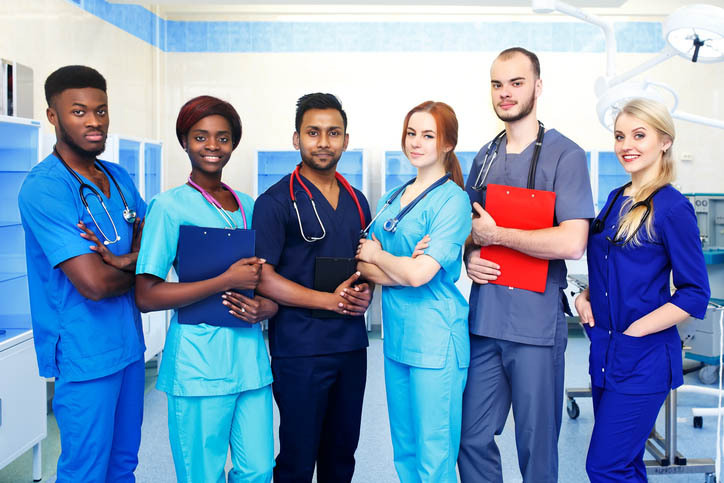 To celebrate today’s observation of National Student Nurses Day, Rodney gave some insight to what life is like for a graduate student in nursing school. As a PhD candidate in nursing, she has been through the rigors of nursing school for a while. What she knows is that her dedication and the time spent on her education is going to bring her to the place she wants to be. Along the way, says Rodney, the journey itself is pretty amazing. And while continuing her education is far from easy, it has brought her a level of satisfaction and of personal and professional growth. “Graduate school is as challenging as I thought it would be,” she says, “but I also got the opportunity to think independently and explore questions that I was interested in. I could finally expand my thinking about ways to provide better care for my patients. I also saw the direct link and importance of collaborating with other healthcare providers and disseminating research for implementation at the bedside.” Eventually, she says, she would like to combine the teaching, research, and practice areas of nursing into one career. Rodney completed her LPN and RN at Dickinson State University in Dickinson ND, and she started out her career as an LPN working in a nursing home. “I loved it,” she says, “and felt like I would get a new history lesson every day I went to work.” From there, she worked in inpatient psychiatry, primarily to learn more about mental health and how better to approach treatment and diagnosis. It was during that time that she began her MSN program at the University of Vermont. Discovering a new passion for mental health, Rodney took advantage of certification and gained her psychiatric mental health nurse practitioner certification. “I recently completed my PhD studies at The Johns Hopkins University, exploring biomarkers for PTSD in military personnel and veterans with traumatic brain injuries.” All of her studies are helping her get closer to where she wants. “My ultimate goal is to change the way we approach diagnosis and treatment of mental health disorders,” she says. Like nursing practice, a nursing career isn’t done in a vacuum. Joining a professional organization (Rodney belongs to the Graduate Nursing Student Academy) is a way to network and share resources with other student nurses. “Having completed my program I now have a large network of other young professionals with whom I can collaborate and have as supportive resources,” say Rodney. January 21 through 27 is National CRNA Week, and we’re celebrating by getting up-close and personal with the CRNAs who make the medical world go ‘round! Certified Registered Nurse Anesthetists (CRNAs) safely administer about 43 million anesthetics each year, making surgeries and medical treatments safer. These professionals not only administer anesthesia, but also help ensure patient comfort and security. CRNAs come from all walks of life and work in a wide range of communities. Interestingly, the American Association of Nurse Anesthetists (AANA) reports that CRNAs are the sole providers in nearly 100% of rural hospitals in some states as well as within the U.S. Armed Forces. Make sure to thank your favorite CRNA during CRNA week and surprise them with something special to say thanks! We love the idea of gifting them a personalized stethoscope with custom engraving as an awesome way to pay tribute. What Does a CRNA Do Every Day? What’s life like as a CRNA? Let’s take a closer look. Every day, nurse anesthetists monitor patients during surgery. This requires preparing and administering drugs before anesthesia, managing patients’ airways, and pulmonary status during surgery and closely observing their physical reaction to drugs. They may also perform pre-anesthesia screenings to determine a patient’s risk and administer epidurals in maternity wards. But there are many other things that CRNAs are responsible for each day, according to Lincoln Memorial University Clinical Coordinator and CRNA Joy Lewis. “We do pre-op and post-op rounds, consults for pain management, place central lines, respond to codes, place and manage labor epidurals, upon consultation implement respiratory and ventilatory management including establish emergency airways,” says Lewis. Dan Lovinaria, a CRNA with Veterans Affairs at Minneapolis Medical Center, says there’s an emotional aspect to the job, too. Surgeons have notoriously demanding schedules, whether they’re responding to emergencies or running on a tight, pre-determined schedule. 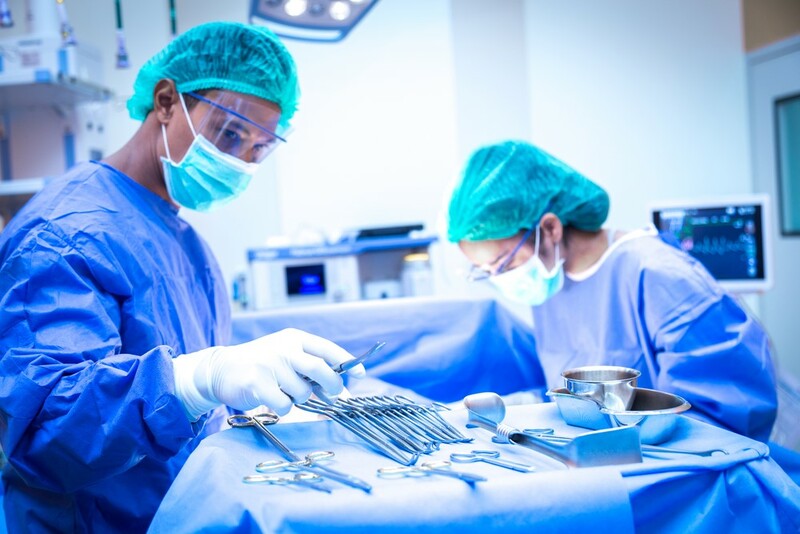 Since CRNAs are required to be present for many of those surgeries, their schedules may be even busier than a surgeon’s. “Oftentimes our schedules are busier than the surgeons if we work at a hospital with [obstetrics]. Once you place an epidural you may not be able to leave, and they will still want the operation to start on time,” Lewis says. Lovinaria says he and his team work various shifts, including 8-hour, 10-hour, 12-hour, and overnight shifts. But there’s good news, too. CRNAs operate on a more autonomous schedule—they’re not required to be supervised by an anesthesiologist in any of the 50 states—so their shifts and schedules vary compared with traditional registered nurses. CRNAs may work as part of an anesthesia care team or as individual providers. Robert J. Gauvin, a CRNA who’s also the president of Anesthesia Professionals, Inc. in Dartmouth, Massachusetts, says owning an anesthesia care business means more work but even more autonomy. What About the Education Factor? Because CRNAs have a much more specialized skill set than traditional RNs, they’re required to have extra education. Most CRNAs start out as RNs and are then required to complete a master’s degree in nursing (MSN), which typically takes about two years. CRNAs must then pass the National Certification Exam (NCE), which covers the knowledge, skills and abilities needed by entry-level CRNAs. Nguyen also emphasized the importance of the CRNA certification exam. “The best advice that I can give to others is: ‘Respect the Test!’ The National Certification Exam (NCE) requires a level of thinking and comprehension of anesthesia that is only attained after rigorous clinical experiences paired with thorough reading and studies,” she says. And then, of course, CRNAs must put a significant amount of time and money into continued education in order to keep their certification active. According to CRNA Bruce Schoneboom, the Senior Director of Education and Professional Development with the AANA, CRNAs must regularly become re-certified. “The National Board of Certification and Recertification for Nurse Anesthetists’ new recertification program is called the Continued Professional Certification (CPC) Program and consists of eight-year periods. Each period is comprised of two four-year cycles. Every two years CRNAs will check in through a simple, online process known as the ‘two-year check-in,’” Schoneboom says. CRNAs must complete 100 additional education credits in an eight-year period. Is It as Rewarding as They Say? Talk to any nurse, and he or she will tell you that there’s a certain pride in putting on a pair of scrubs every morning. But is being a CRNA just as fulfilling as the traditional RN track? Yes, say CRNAs. And the proof is in the pudding: CRNA is a career with one of the highest job satisfaction ratings within nursing. “There are so many rewarding moments being a CRNA. The one-to-one patient/CRNA interaction is a very valuable experience, and so is engaging the vets’ caregivers or significant others about the anesthesia plan of care,” says Lovinaria, adding that it’s the critical thinking component of the job and its dynamic changes that keep him on his toes. Nguyen agrees: “I can honestly and wholeheartedly share that even on my worst day, doing what I love is better and more rewarding than a single day doing something else. I would choose this profession over any other option available,” she says. Make sure to give your favorite CRNA plenty of props during CRNA Week this year! Imagine moving to the United States from the Philippines and building a nursing and military career. That’s what Marygrace Colucci, RN, BSN, MSN, did when she migrated to the U.S. in 1995. Today, Colucci is living her lifelong dream as a staff RN in the ophthalmology operating room at Northwell Health at Syosset Hospital in New Hyde Park, New York. In May, Colucci was honored with the Zuckerberg Nursing Excellence Award during National Nurses Week. The award recognizes exceptional nurses at Northwell Health. Happy Independence Day, Nurses, on this fabulous fourth of July! The character of our nation and that of the nursing profession are so similar that through out our history they’ve been intertwined. Try these traits on for size and see if you agree: Nurturing, caring, patriotic, independence-loving, tolerant, and humanitarian. I was reminded of the patriotic role of the nurse by Melodie Chenevert, herself a nurse for 50 years and a collector of nursing memorabilia, and also founder-owner of the Lost Art of Nursing Museum in Cannon Beach, Oregon. Melodie displays some sensational artwork that show just how elevated nurses became during the first World War, when Red Cross nurses were romanticized as the heroic feminine ideal of American womanhood. That trend continued during World War II, when the US government swung into full gear to recruit young woman into the nursing corps. The need for nurses was great and the supply short, so recruitment posters marketed military service as a way to aid the war effort. The fact that service in the Army, Navy, or Nurse Cadet Corp. served as a bold call to adventure and offered a free vocational education didn’t hurt, either. Leading artists and illustrators, songwriters and poets all heralded the noble nurse who fulfilled her duty to country through military service. Some famous artists who received commissions to depict the nurturing nurse in battle: Norman Rockwell, Dana Gibson (creator the lauded Gibson Girl) and N.C. Wyeth. Before the age of celebrity and before the Kardashians, nurses captured the public’s imagination. They served as magazine cover girls and advice columnists and product endorsers and pitch women. Just as today, nurses were trustworthy figures and so their “seal of approval” actually meant something to consumers. So, as we mark our nation’s birthday, light up the candles…or fireworks…and let’s celebrate!